Despite the objections of Noel Ciantar and various NGOs, the Planning Commission went ahead and gave its green light to the Planning Minister. A private project by Transport Minister Ian Borg to develop an agricultural field adjacent to his dwelling into a swimming pool and an al fresco dining area in the middle of a rural valley in a hamlet outside Rabat, has hit another snag as a new objection has been filed to halt the project. Noel Ciantar, who has been objecting to Dr Borg’s private residential development for years, including a case filed with the Ombudsman and the Commission Against Corruption, presented an appeal in front of the Environment and Planning Review Tribunal to reverse the granting of a permit to Dr Borg and his wife. In the 25-page appeal, Mr Ciantar presented 11 reasons why the tribunal should revoke the permit given by the Planning Commission last October. Among the main reasons, Mr Ciantar claimed that the Planning Authority used a different policy to justify the development and which did not apply to the rural area; that the decision makers – members of the Planning Commission – did not declare a conflict of interest when they were appointed to their public position by Dr Borg and that the PA had failed to “review” Dr Borg’s original permit as directed by the Ombudsman who had found that the original development permit to the minister was “a grave error”. Mr Ciantar also claimed that despite his various submissions before the decision had to be taken by the Planning Commission, the government-appointed members ignored completely his claims and proceeded with granting the minister a permit to turn an agricultural field into an outside living area. Dr Borg’s controversial development goes back to 2014, when a few months after being elected to Parliament and appointed Parliamentary Secretary, the Planning Authority approved an outside development zone permit so that he could turn a dilapidated rural dwelling into a 400 square metre matrimonial home. In a damning report following an investigation of the case, the Ombudsman had recommended a review of the permit by the Planning Authority and stated that the approval of this development in such a sensitive rural area “was a grave error” and that the permit should not have been issued. Despite that the Ombudsman’s recommendation, endorsed fully by the Commission Against Corruption, asked for a permit review, the Prime Minister, at the time responsible for the Planning Authority, did not follow the recommendation and the development continued unabated. Earlier this year, on the premise of a policy that such ODZ developments qualify for a swimming pool and outside area permit, Dr Borg and his wife applied to develop a field, acquired for just €11,000 a few years ago into a fully fledged swimming and landscaped recreation area. Despite the objections of Mr Ciantar and various NGOs including Din l-Art Ħelwa, Flimkien għal Ambjent Aħjar and the Ramblers Association, the Planning Commission still went ahead and gave its green light to the 32-year-old Planning Minister. During the hearing last October, as Mr Ciantar was making his legal representations, Control Commission chairwoman Elizabeth Ellul insisted that she would ignore the previous original permit (on which the minister based his second application) because “this was a closed argument” and the application under consideration was a new one and only concerned a field. 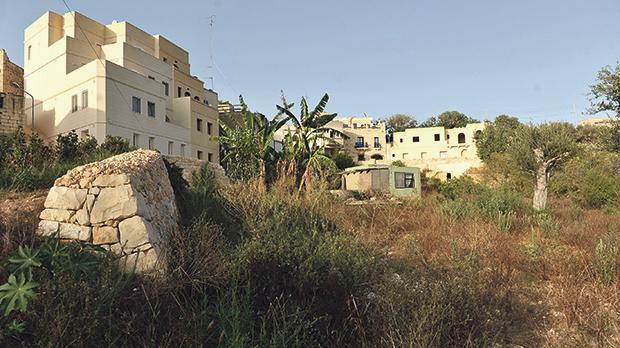 Asked during the short hearing whether he wanted to make any submissions and rebut the objections presented to the granting of the permit, the minister’s architect, Colin Zammit from the Maniera Group, said that he had no comments to make. PA sources yesterday said that the tribunal will now first decide whether the minister’s permit is to be put on hold until a final decision is taken. Under normal circumstances, a permit is put on freeze to await the decision on the final appeal.